E-ink-Reader. Battery Types of tablet.. In previous article we've told you about models of batteries of e-readers with E-ink screens. We have accumulated quite a lot of information on batteries, which are used in modern tablets and e-readers with TFT and IPS screens. To ease the problem of finding, buying and replacing the panels in your device, this information has been kept in the general table below. 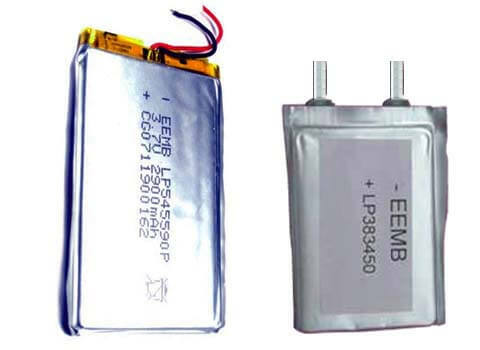 All batteries, which are used in modern tablets Lithium - Polymer (Li-Pol). They are a flat rectangular bag with the findings. Such batteries are usually marked as shown on the left. In marking it's already laid dimensions of the product, so you can search the batteries in the shops, throwing the factory code. In this case, the search can provide more results. If the battery's terminals are made insulated wires (usually positive - red and negative - black), inside of the bag except the battery there is a charge controller, which protects the battery from overcharge and overdischarge. If the findings are made in the form of narrow metal plates, there is no charge controller inside a battery. In the table section "Link" below the icons with arrows are references to web page - shops offering this battery model.